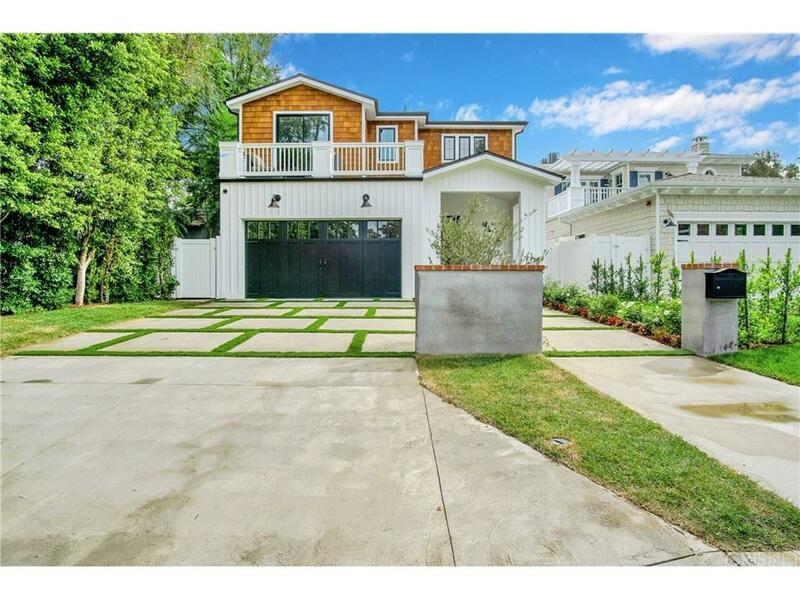 2018 Nantucket Cape Cod Masterpiece with the perfect amount of modern touch in a great pocket of Sherman Oaks just a quick drive to restaurants, shopping, entertainment and much more. Dream kitchen with top of the line appliances, center island with breakfast counter, huge walk-in pantry. All 5 bedrooms are masters but the grand master suite is truly one of a kind with special craftsmanship details and a stunning master bathroom and a private balcony. Fully integrated Control 4 Smart Home, wine room display, spectacular family room with backyard access. Spacious dining room with a gorgeous chandelier. Incredible entertainers backyard with a sparkling pool and spa, outdoor BBQ with plenty of seating for your guests. Sold by Corey Kessler BRE#01836977 of The Agency.